The Martians Are Coming! 'Broadcast Hysteria' Looks At The War Over 'Worlds' Orson Welles' radio hoax famously convinced America that Martians had landed in New Jersey, right? A. Brad Schwartz's new Broadcast Hysteria argues that panic may have been blown out of proportion. Orson Welles thought he was ruined after the 1938 broadcast of his adaptation of H. G. Wells' The War of the Worlds. The 23-year-old actor-director's star was just beginning to rise, but the panic caused by the radio show sparked an immediate backlash. Major newspapers reported on cases of mass hysteria across America. Because of The War of the Worlds, they alleged, hundreds of thousands of unassuming citizens were convinced that a real Martian invasion was taking place, starting at ground zero: The small town of Grover's Mill, New Jersey. Welles' career, of course, was far from over; he had yet to make his masterpiece, Citizen Kane. There are some holes in the rest of the widely repeated story of that night, as well. 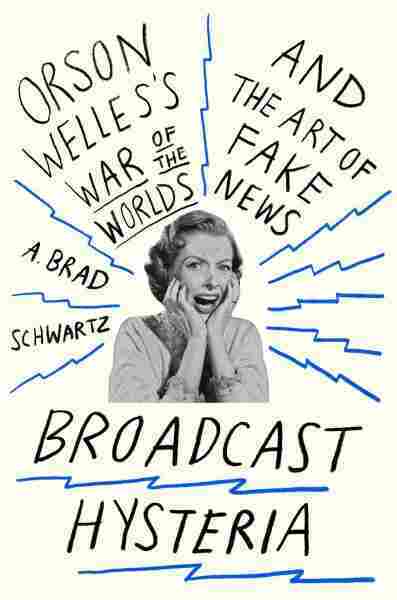 According to A. Brad Schwartz's new book, Broadcast Hysteria: Orson Welles's War of the Worlds and the Art of Fake News, the panic spurred by Welles' broadcast has been greatly exaggerated — and not just over the decades, but right after it happened. Using a winning mixture of history, biography, media criticism, and statistical analysis, Schwartz lays out his case: Not only was the hysteria blown out of proportion, but there were some who had a vested interest in making it seem as though The War of the Worlds sent hordes of Americans running for the hills, ready to fight alien invaders with pitchforks. The culprits include the newspapers, who were eager to discredit their biggest competitor on the mass-media battlefield — namely radio — and pundits who stood to gain by pointing out the gullibility of the hoi polloi. And Welles himself, who took turns downplaying and amplifying the effect of his broadcast over the years, as it suited his needs. A. Brad Schwartz also cowrote an episode of the PBS series American Experience exploring the War of the Worlds broadcast. Schwartz explores all these facets in Broadcast Hysteria, and he does so with clarity, a keen sense of irony, and a crusader's nose for hypocrisy. The book comprises mini-monographs on the lives of both Welles and Wells — which dovetail with their less-than-harmonious meeting in 1940 — as well as many of the other players in a drama that wound up echoing throughout the 20th century. The book is rich with context and often dryly humorous detail, including Welles' paradoxical love of "fakery in allegiance to the truth," a holdover from his days as a player on the heavily dramatized news radio show The March of Time. 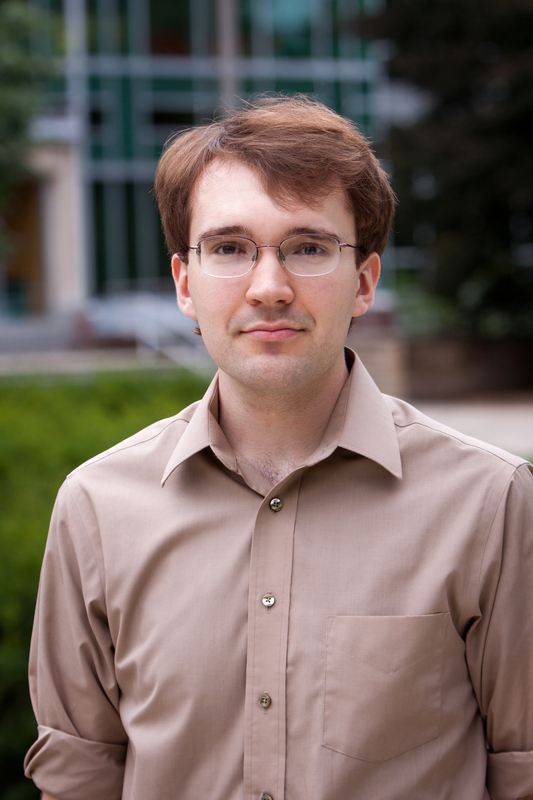 Schwartz frames that lighter tone with a chilling historical backdrop. With Hitler on the march in Europe and fascism a palpable fear, the influential power of the relatively new technology of radio was still being tested. And The War of the Worlds unwittingly threw Welles into the crucible. Free speech and the uneasy role of FCC regulation in the early days of radio feed into Schwartz's narrative, and he juxtaposes these political and philosophical issues with wit and depth. The War of the Worlds was far from the first piece of media to skirt the intersection of truth and falsehood, and it was far from the last. From the staggeringly bizarre Great Moon Hoax of 1835 to Jon Stewart and Stephen Colbert's Rally to Restore Sanity and/or Fear in 2010, the continuum of fake news stretches on, and Schwartz compellingly frames it both chronologically and ethically. If anything, Broadcast Hysteria errs a little too much on the side of rigor and righteousness. A few passages get bogged down by the science of opinion polling — a fascinating topic, but one that feels tangential here — as well as Schwartz's tendency to wrap up his points in moralizing bows. Those points are excellently laid out, though, and remain relevant a century later. Ultimately, he proposes, the real hoax wasn't War of the Worlds and its dramatized yarn about little green men bent on the conquest of Earth. It was the hoax the media perpetrated, by making a few isolated incidents seem like something out of, well, a science fiction novel.